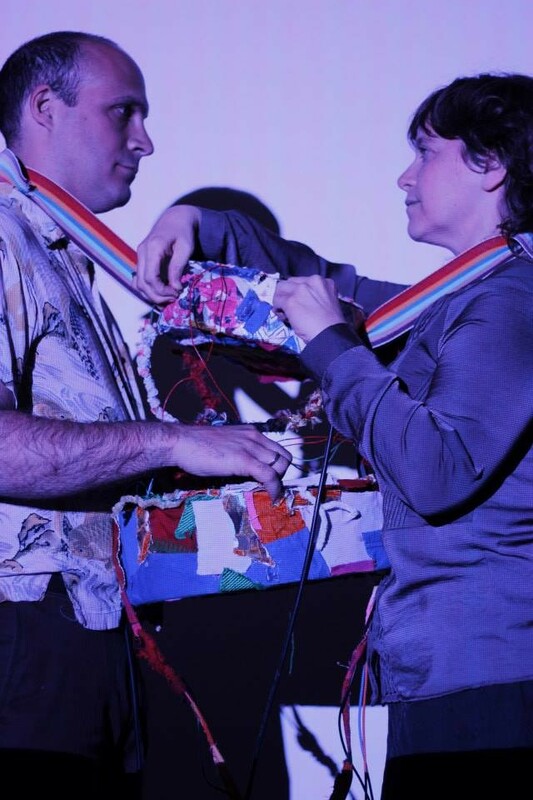 LoVid perform with their handmade wearable audio/video synthesizer Color Steering Wheel. 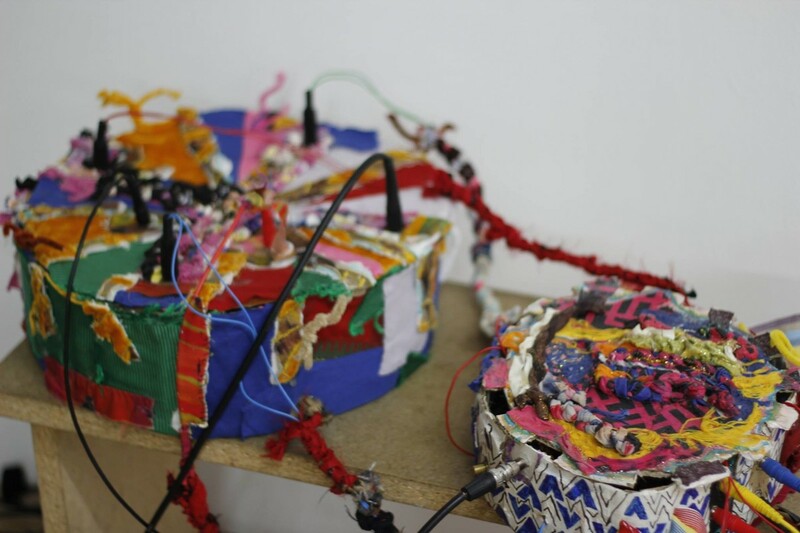 In this piece, the performers activate an electronic instrument that they wear and support between their bodies. In contrast to the immersive colorful projection and noise, the performers face each other while holding the instrument in a fragile and intimate position.